Families will love this film based on a true story! Awarded 5 Doves from the Dove Foundation and approved for ages 12+. I am a big history buff, so I was excited to see that this book was based on a true story. I am also fascinated by this particular time period (1700s), so that made it even more interesting. We received the book and read it as a family (me and my 3 daughters). We read it over a period of a few weeks and just recently completed it. The verdict: We all enjoyed reading this book. 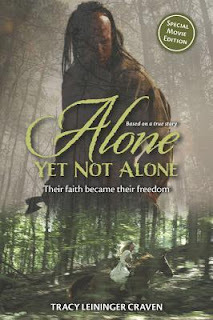 It is a great history lesson, which will allow readers to learn much about the time period of the late 1700s in Pennsylvania... clothing, chores, the French and Indian War, immigration, customs of the Delaware tribe, etc. It is also a lesson in faith, family, values... remembering that no matter the circumstance, no matter how alone a Christian may feel, he/she is never truly alone. God is always with us. Barbara and Regina lived out their faith, hiding God's Word in their hearts, remembering that even through the darkest of times, they never were truly alone. I enjoyed this book and encourage others to read it as well. Share it with your older children. They can learn much from this inspiring story. Some scenes are frightening and intense, so I would suggest ages10 and up. One lucky reader will receive a copy of this book, courtesy of FlyBy Promotions. Just leave a comment on or before Sept 20, 2013. I will choose one comment at random. 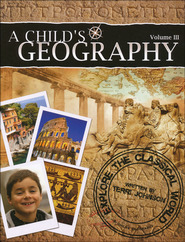 I had heard of the "A Child's Geography" series, but had never read one... or seen one in person. Recently, I had the opportunity to edit/proofread the 3rd book in the series (Explore the Classical World). I was very impressed with the quality of the book; what a pleasant surprise. Reading the book was like listening to a friend tell about her travel adventures. It wasn't like reading a textbook; it was like reading a friend's travel journal. After seeing the final product in eBook form, I was even more impressed. The full color photographs added such a nice touch. The book takes you along on a journey of several countries in the classical world, such as Italy and Greece. These countries have so much history; I learned so many new things about these "old" lands. Not only does the book touch on the history of the countries from a Christian worldview. It also discusses landmarks, terrain, customs, local delicacies, and more. Each chapter ends with a "Field Notes" section. 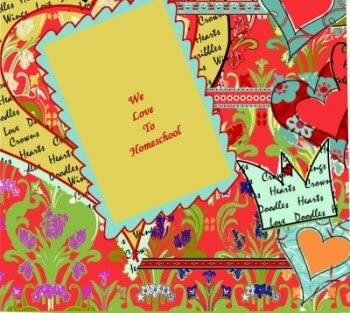 This section gives your child a chance to review the lesson and wrap-up their thoughts by answering the provided questions in a notebook or journal. This will make for a nice keepsake. The included images of maps and timelines are also a nice and helpful addition. The CD includes even more useful items to make the whole experience come alive. You will find great resources such as recipes unique to the individual countries. One of the neatest resources in my opinion is the Prayer Guide. This guide tells a little about the religious state of the country, such as the main religion and the condition of the Christian Church, and then includes specific prayer requests for that country. What a great addition! I so enjoyed reading through this book during the proofreading. I am looking forward to sharing the complete and final product with my daughters. In my opinion, this book is an awesome way to study geography. It is a great alternative to a dry textbook.